The following images were captured on Monday 14th October. A Skywatcher 90mm refractor was used with a 10mm eyepiece and x2 Barlow. The camera used was an Olympus Camedia, 4 megapixel AF zoom camera. The Afocal images were obtained with the camera held with a home made mount. 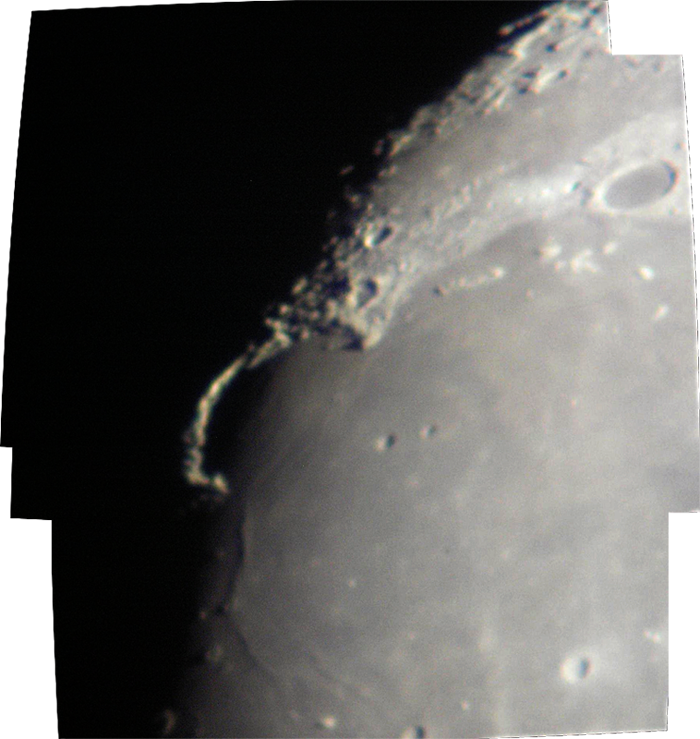 Composite of 6 images of the Sinus Iridum, Plato region of the Moon. The images were combined using Microsoft ICE.